It is chilling cold in Pune and the urge for lip smacking food certainly provides an impetus to move out of the house. While there are variety of cuisines available here from Indian, Continental, Chinese , Thai to Arabic, it is exciting to have something which is truly traditional and yet homely. 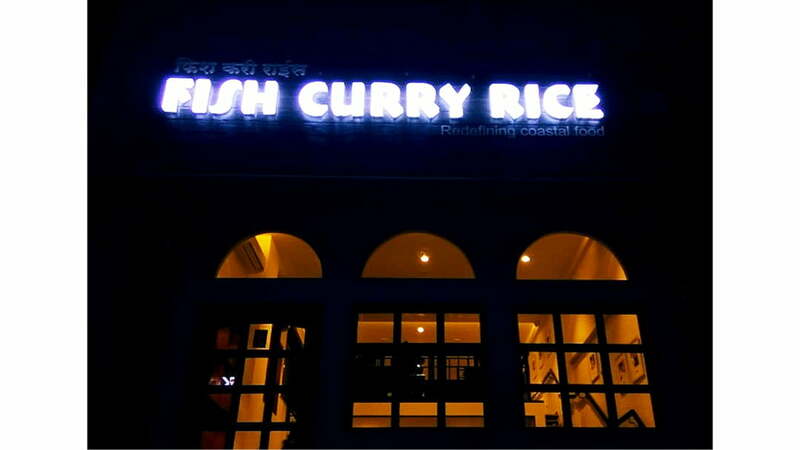 Don’t be surprised to hear about Fish Curry Rice , which serves authentic Konkani food.The food chain started by noted theatre play producer Sudhir Bhat to showcased plays for a Marathi diaspora settled in the United States. He continued with this project for around three decades, during which he produced over 80 plays, which accounted for 17,000 shows. Eight of his plays crossed the 1000-shows mark. . He was a savvy businessman, unfazed by criticism. – Source wikipedia .Thus we get to hear the classic old Marathi songs while you are being served and you relish the food . The menu card displays details of the authentic spices used in the preparations and their explains the typical quality of spices. It showcases celebrities, actors from theatre in form of snippets other than the usual list of dishes that are served. Surprisingly, the kitchen is also spotless clean and all the cooks were in uniform. We managed to have a peek into the kitchen while the staff stood in excitement to be clicked. It was amazing to see the place very quiet and free from noise. The ambience is silent, clean and peaceful. Away from the noise of traffic , loud music , gaudiness or flamboyance, this place shall be loved by families who want to have a peaceful time to be spent together. You can talk, laugh, share , converse stories in happiness when all the members of family enjoy the meal together. Visit and have a different experience ! This outlet of FISH CURRY RICE is on Baner Road, Pune.